If you find physical Ang Baos a little too troublesome (and risky, if misplaced), but also find eAng Baos a little too impersonal, there’s now a solution that incorporates the best of both worlds. 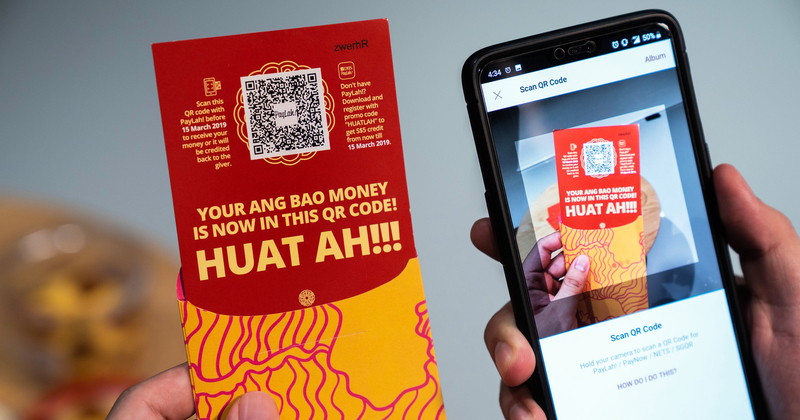 DBS is piloting the world’s first loadable QR Ang Bao, which retains the tradition of exchanging physical Ang Baos while eliminating the use of cash. Via the new QR Ang Bao system, DBS PayLah! users will be able to ‘load’ a desired cash value (up to S$999) onto unique QR codes, and recipients would then simply need to scan the QR code to have the value immediately transferred to their PayLah! accounts. First, scan the unique QR code on the QR Ang Bao. Then, enter the amount you want to load on the DBS PayLah! app. Choose a cute animation to go along with your eAng Bao, complete the transaction, and pass the QR Ang Bao to the lucky recipient. If you’re the lucky recipient, scan the code on your eAng Bao, and the funds will be immediately deposited into your DBS PayLah! account. For added security, each DBS QR Ang Bao contains a unique QR code and serial number, so a sender can easily cancel a DBS QR Ang Bao’s loaded funds via DBS PayLah! if it gets lost or stolen. According to DBS, eAng Baos had reached a record number of transactions last year, with the number sent being six times higher than that in 2017. Now comes the question – how does one get these QR Ang Baos? From 25 Jan (Fri), limited quantities of DBS QR Ang Baos will be made available to customers at all full service DBS/POSB branches or POSB Pop-Up ATMs island-wide. Two sets (in packs of eight) will be given to each customer, and there are over 300,000 sets up for grabs. The DBS QR Ang Baos will be valid for use from 25 Jan 2019 to 15 Mar 2019, and funds not redeemed by 15 Mar will be refunded to givers. But if trying the QR Ang Bao out of sheer curiosity isn’t for you, there’s an incentive that might just get you on board. From 5 to 19 Feb, daily prizes of S$188 will be awarded to ten customers with the highest number of qualifying transactions at the end of each day. The customer with the highest cumulative number of qualifying transactions from 1 to 19 Feb will also walk away with the grand prize of S$8,888! Do note, though, that multiple transactions between the same giver-receiver pair are still counted as one transaction. 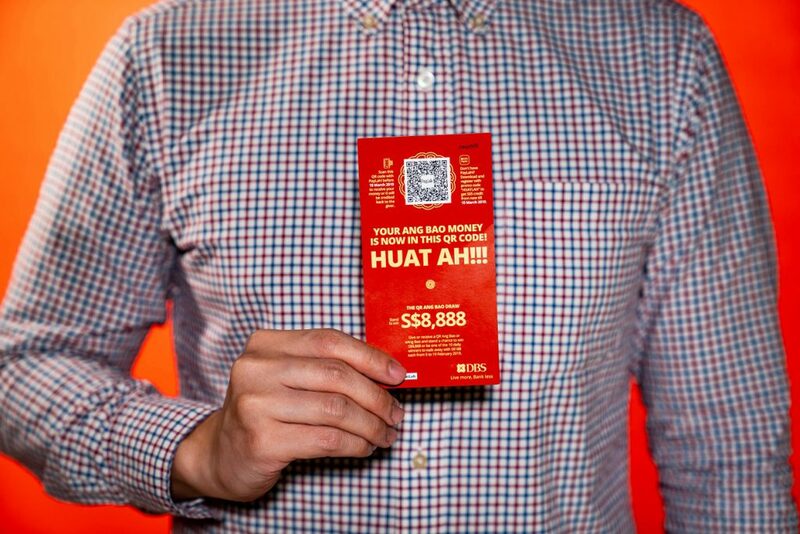 Find out more about how to use the DBS QR Code Ang Bao here!